Traditionally in the UK we love to build our paths out of flags. Resin is a beautiful material to use for both Resin Driveways as well as resin paths around your garden. The resin is porous allowing rainwater to soak away while maintaining the beautiful look of a modern path. The path above is a simple path with block paving edging. Resin bound gravel laid over ECO Grid trays provide a fully porous solution. No cross fall is required on the path as the rainwater runs through the surface and underlying plastic trays. 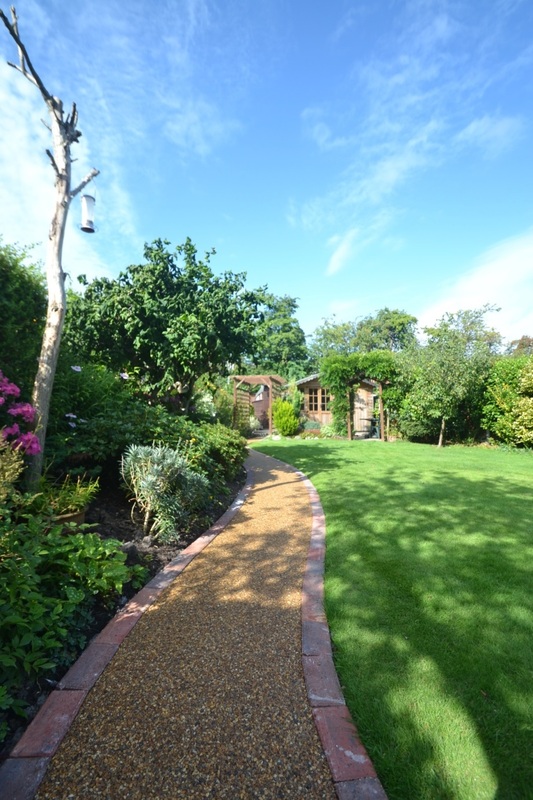 Creative Gardens and Driveways are Resin Bound Gravel specialists having installed many resin driveways and paths across Cheshire. Call now for a free appraisal and quotation.